Now I know it is hard to believe but it wasn’t always the tradition to give a gorgeous sparkly ring at a proposal. Say WHAAAT?! Back in the day the Egyptians would use reeds to make jewelry which caused a problem because they would die and break and then the process would start all over again. Clearly not representative of everlasting love. The Romans then decided that stronger materials should be used (those Romans were on to something) and women were often given steel rings by their new husband’s family. The tradition really picked up steam in 1215 when Pope Innocent III issued a mandatory waiting period for couples that wanted to get married. For the most part only the wealthy nobles could afford rings containing precious stones and most early engagement rings were plain metal bands. As more and more people became able to purchase engagement rings they developed a more symbolic meaning and many couples opted for rings with personal and romantic touches. A popular Victorian tradition was to design a ring with stones whose initials spelled out a special message. For example a Lapis lazuli, Opal, Vermarine and Emerald were set together in a band…spelling Love. A far more disturbing tradition involved rings with a compartment to store a lock of your lover’s hair..a little too Angelina and Billy Bob if you ask me. Long story short as the diamond became more and more popular in the 1800’s Cecil Rhodes and some other ruthless business investors began snapping up diamond mines all over. By 1888 what was later called The De Beers Group pretty much had a monopoly on diamond operations…some even referred to them as a cartel. How romantic. The brilliant Chairman of De Beers, Sir Ernest Oppenheimer had a plan. Oppenheimer eliminated the competition, restricted the amount of diamonds in the marketplace which drove the price up resulting in massive profits for De Beers. Genius. Also what we call “illegal” in the U.S. due to anti trust laws which meant the “cartel” could not set up shop in the states and had to sell through other channels from their home base in London. Now I am probably going to break a lot of hearts out there when I tell you that we have none other than an advertising agency to thank for the real popularity of the diamond engagement ring …so read on with caution. Well after finding all of this out I am still surprisingly happy about my own bling and I think you should be too. I guarantee your FI doesn’t know or care about the history of or the marketing campaign behind the engagement ring. He cares only about you and spending the rest of your lives together and that’s really all that matters. I will now leave you with some famous engagement rings….enjoy! Princess Di was proposed to without a ring. Apparently Charles really wanted her to think about it before saying yes. Hmmmm. Once she agreed she selected her ring right out of the Garrard Jewelry catalog which shocked many people including the Queen. 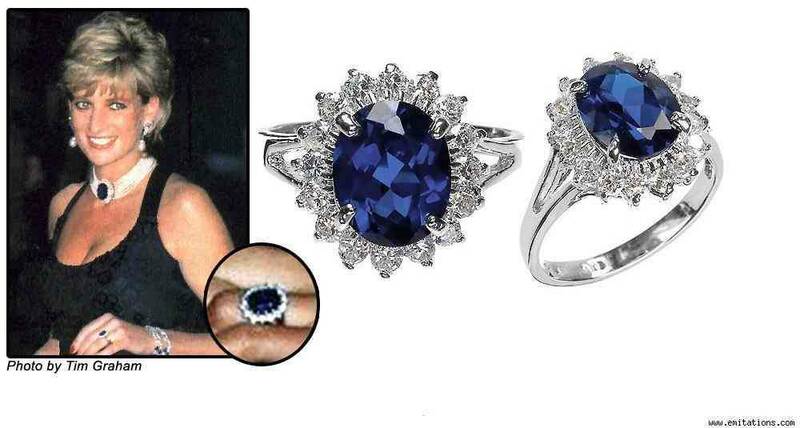 Most royals had their rings custom designed and this one was only $65k! Bargain! Beyonce is rockin’ an 18 carat flawless emerald cut diamond set in platinum. It was only a cool $5 million. 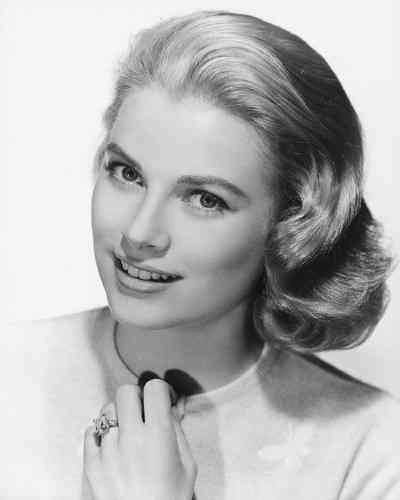 I love Princess Grace and I realllllly love her bling. 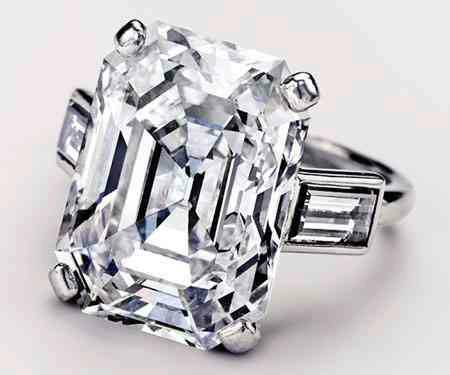 A nearly 11 carat emerald cut platinum ring. Yum. Why Walk When You Can Strut?! Clearly Beyonce needed to be included! I cannot believe I left J-Lo off the list…probably better off seeing as “Bennifer” didn’t turn out so well.